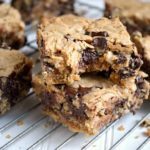 These delicious whole grain chocolate chip peanut butter bars are made with all real ingredients, and are as easy to make as mix, press, and bake. Place the butter and sugar in a large mixing bowl and beat until smooth. Beat in eggs, peanut butter, and vanilla until well blended. Add flour, oats, baking powder and salt. Beat until blended, scraping sides as needed. Mix in chocolate chips. Pat dough evenly in a parchment-lined or buttered 13×9-inch pan, using water to wet fingers in order to spread smoothly if needed. Bake until golden around the edges, 25 minutes. Let cool on a rack until just warm (about 20-30 minutes) and cut into 24 pieces. Let cool completely and store in an airtight container for a couple days at room temperature or freeze for longer storage. 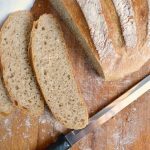 *You can also use Whole Wheat Pastry Flour or Spelt Flour. 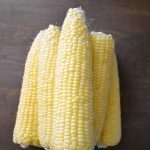 This recipe has been updated – it was originally published in April of 2010. 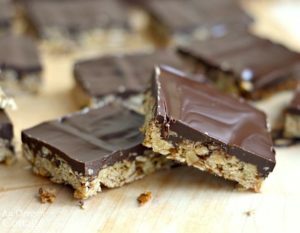 My family is all about chocolate, too, so I have a feeling these bars would be a smashing hit in our house! Also, there’s nothing like a homemade bar cookie like this to have on hand, especially during this season. Thanks, again, for joining in on the fun of this year’s Sweetest Season, Jami! Your recipes sound amazing, and I cannot wait to try them! Does it matter if they are quick oats or old-fashioned? Thanks for this recipe -they are absolutely delicious, melt in the mouth, really easy to make and even..dare I say it…relatively healthy! Oh, thanks Jeanne for following up- I think I will try the maple syrup next time, it sounds good! sorry it has taken me so long to get back . 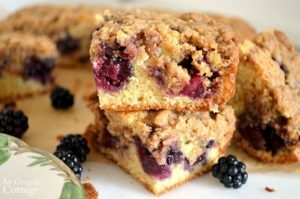 . .
My kids loved these “granola bars”. I soaked my oats, dried them at low temp and then whirled them up in the blender. I used about 2/3 cup pure maple syrup instead of sugar. The bars turned out great. Rebekah- Wow- ok, you’ve got me beat. 🙂 And they are a pretty healthy snack with protein, good fat, whole grain, and dark chocolate, even a slightly more healthy sugar (sucanat), so DO feel good about it! This is the 3rd time this week we’ve made these cookies – I’m in love with this recipe!!! Mostly I like that it only takes 2 c. flour because I grind my own whole wheat and I can only do about 2 cups at a time before my arms give out, lol! 🙂 Plus, I feel like this is kind of a healthy cookie/snack for my 5 kids who practically inhale them. Thanks Jami!!! I am going to try making them with maple syrup sometime in the next few days. I have never added more flour, but you do cut the amount of sweetener way back. I let you know what I discover. I am also going to soak the oats in a little bit of whey. I let you know what I discover! 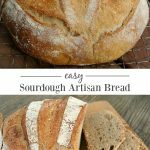 Also I have been making sourdough bread for about a month now your post on sourdough/ artisan bread got me started. I make it artisan style if I am serving it for dinner. And just this week I plopped into a regular bread pan for sandwich bread. My kids loved it! Jeanne- I’ve not tried a liquid sweetener with them before. I’m not experienced with substituting these, though I know there is some formula (less honey, more flour?). Let me know if you try it! These look great! I’ll be trying them soon. I am out of both whole wheat flour and sucanat, but these will be made as soon as I go to the store. Do you think you could use honey or maple syrup instead?? thanks! Definately will be using the parchment paper idea! These look so tempting!! yumm! These look great, and I 100% agree with you about the store bought granola bars. I’m doing a bunch of baking on Sunday so maybe I’ll just add these to the list. 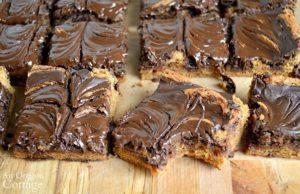 How do these compare to your other peanut butter chocolate bar cookie? My family absolutely loves those!